An Anchorage-based artist wants his message to scream. 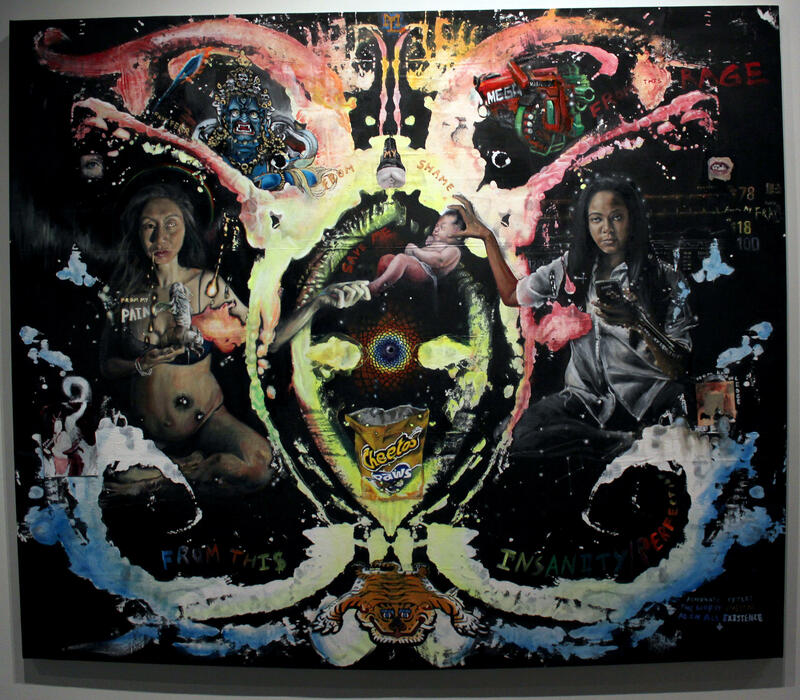 Chung’s solo art exhibit, “Everything is Sacred,” at the Anchorage Museum closes Sunday, Jan. 20th. His life-sized paintings incorporate multiple levels of montaged imagery. That collaboration would earn the artist a Rasmuson Foundation grant in 2016. But the grant also took him on a different journey. He said hearing these stories reflected something back that he didn't even know was within himself. 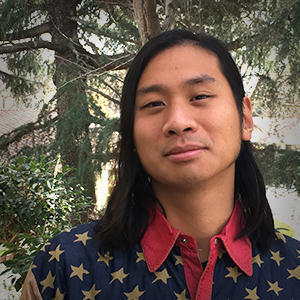 Chung’s family began researching their own ancestral histories, uncovering the fact his grandfather was Tibetan, and his father was descended from a native minority in China. Before his exhibition closes, Chung will lead a discussion about one of his paintings during an event 6 p.m. Friday, Jan. 18, at the museum. Visitors will be able to focus on the painting and talk about the work. “There's a lot of really intense, extreme imagery because the things that I lay awake thinking about at night are very intense and very extreme,” he said. In the end, the artist said his work is a celebration of diversity. For more information about Chung, go to tomchung.org.